The Cisco Umbrella Team has been tracking an Exploit Kit campaign that we refer to as ‘Seamless’ due to its inclusion of the now deprecated seamless iframe attribute. This campaign has been discussed indirectly in other blog posts – we’d like to shed more information on its details. We immediately blocked this domain, however, starting in March following a lull in the latter part of February, we’ve seen an increasing number of redirections to other known gates by systems hosted in the same ASNs: AS39134 and AS197695. 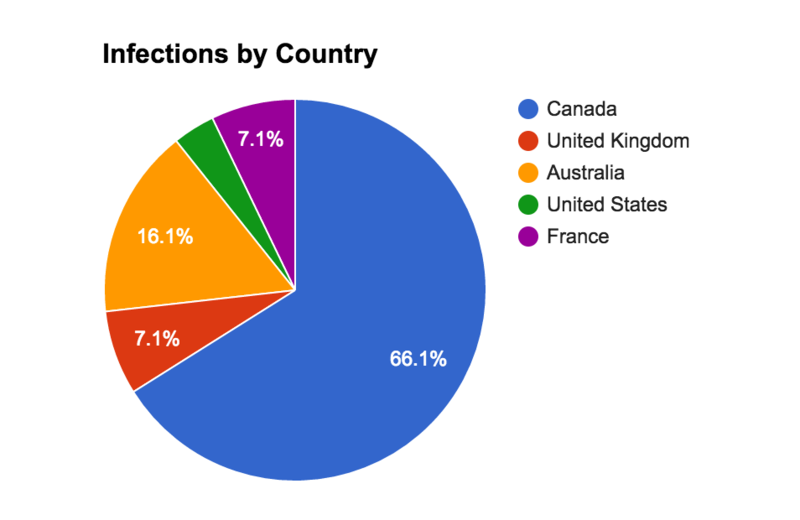 The majority of infections we’re seeing appear to be targeted towards Canada. This may be intended by the campaign or just be an unintended result of the distribution network. You’ll notice a number of references to Canada in the URI section below. Common in some Rig EK campaigns, an actor compromises a website to inject a malicious iframe which, unbeknownst to it’s visitors, fetches content from the exploit kit gate. The gate then profiles the user and delivers an exploit or some other malicious content. What makes this campaign slightly different is that the initial website (referred to here as a landing page, not to be confused with an EK landing page) which includes the iframe does not appear to be a compromised site. It looks to be in use for the sole purpose of delivering the iframe. This implies the campaign may be focused on malvertising or direct email links as a key method to drive traffic towards its sites. Malvertising also supports the observations in the prior report of this campaign mentioned above. These landing pages follow a few common patterns, discussed in following sections. While http://194.58.58[. ]193/index1.php lacks an iframe src. The iframe declaration is pretty white label – its positioned right after the center tag, includes zero’ed width, height and no frame border, plus the addition of the seamless attribute. This seamless attribute has been used in various exploit related content, even one instance involved in a notorious leak. However we haven’t seen it used in any recent campaigns, probably because its deprecated, which may imply this is a new effort by an old schooler or just someone who copied it from existing code. Most of the systems found to be associated with the landing pages used by this campaign were all hosted in AS39134 and AS197695, owned by a Russian provider. While most activity was IP centric, the few domains involved also linked back to this provider. forexo-click[. ]info, one of the first domains seen exhibiting these behavior, was registered a day before malicious traffic was set up on it. Pivoting off of the registrant for forexo-click[. ]info, we came across z-soft[. ]biz, which served what appeared to be a testing page containing the same landing page content without an iframe src target defined. 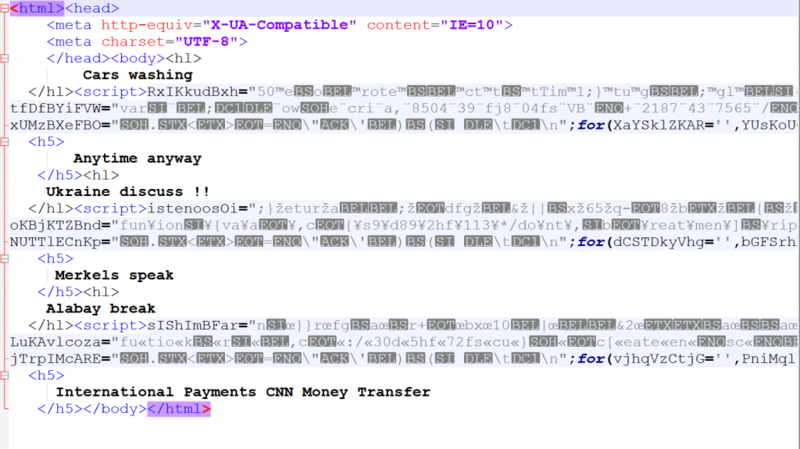 The encoded binary is Ramnit, a well known banking trojan that has been grabbing headlines recently. We’ll continue to monitor the progress of this campaign and keep you up to date. In the meantime, if you have any additional information, please reach out to us (the authors of this post) on Twitter! You can find our handles on our profile pages!